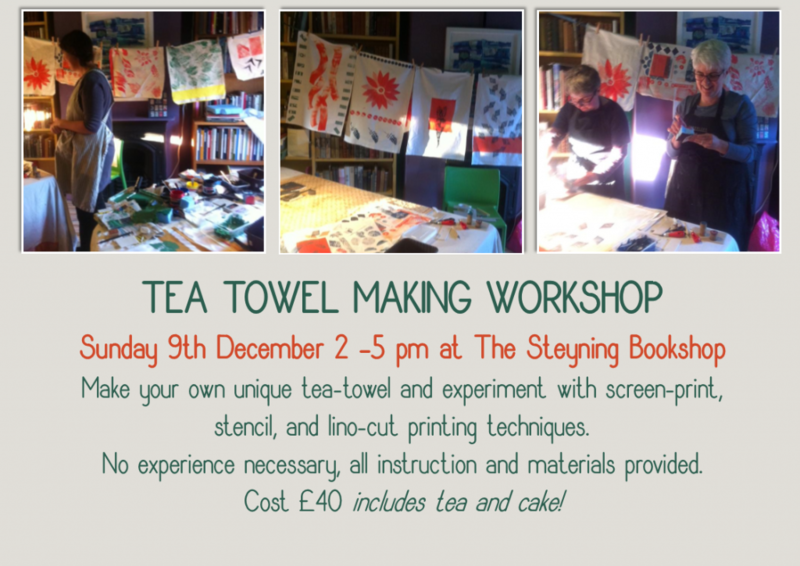 Our lovely Steyning Bookshop employees Sarah Burns and Alice Garner don’t just know about books….they are now giving a lucky few of you a chance to take part in a tea-towel making workshop! 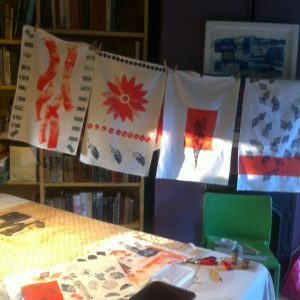 Fresh from their very popular sessions at Ditchling Museum and Much Ado Books in Alfriston, textile designer and block-printer Sarah Burns and her artistic assistant Alice will help participants experiment with screen-printing, lino-cut, stencil and other techniques to produce their own unique tea towel by the end of the day! 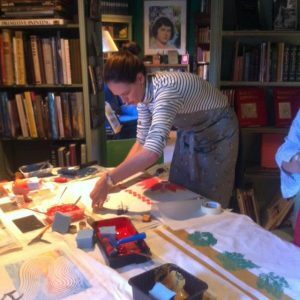 No experience is necessary, although those with some print-making experience are also welcome to come and experiment with new techniques. All materials will be provided, as well as plenty of tea and yummy home-made cake to keep the creative juices flowing! 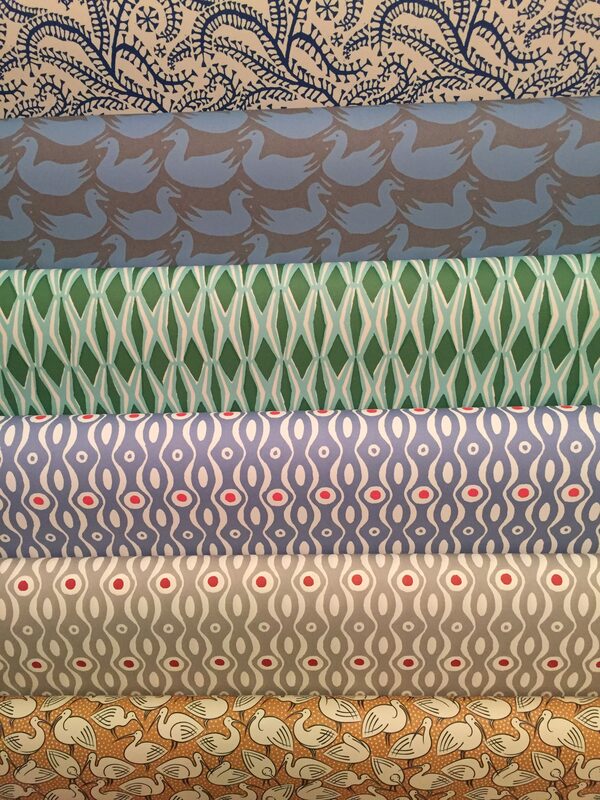 The workshop will take place on from 2 -5 pm on Sunday 9th December, in the bookshop back kitchen. ONLY 8 SPACES AVAILABLE! Cost £40 per person. Book now via The Steyning Bookshop on 01903 812062.